Again another quick read like The Call of the Wild but a completely different feel. This is science fiction back when evolution was just beginning to get a foot hold. There is a lot of evolution in this book so if you are anti-evolution, don't bother with the book, it will just make you mad. Otherwise this is a great book, its kind of slow at first but it draws you in to what is going on quite quickly. He does an amazing job of taking his modern day society and projecting what might happen with the human race several hundred thousand years in the future, then to the planet itself towards the end of the earth. It will be interesting now to go back and watch the movie again to see if it really has as much geology and evolution as the book did. This is the first book I read since I started my book list about 2 and a half years ago. This is a cool book because it takes place during the time of Robin Hood and has several of the same characters in it as well. There are lots of knightly things going on also like jousts and saving a damsel in distress. Its been a while so I'm not sure of the intricacies of the book. But I do know it was a bit hard to get into at first but eventually I got really interested when I got used to the writing style. With all the hype that this book gets you would assume it to be longer but no it only took me 2 days to read as well. This book is great though, it really deserves the hype it gets. Pretty much it is a book about a guy with a god complex and then he has to deal with what he has done when he tries to run away from it. So again its a guy who makes a monster then has to deal with it when its loose. And no the movies usually portray the monster as a grunting beast where actually he learns to read and write rather articulately. Anyway this book is well written and easy to read and since I don't want to spoil anything that is pretty much all I am going to say. Note - This was originally published on my other site "The Geology P.A.G.E." but due to the content I have moved it here and backdated the post. This is our new dog Twix. We got her from the SPCA and she already had that name so we didn't want to change it. Although she doesn't really respond to it she is getting better. We have had her a week and two days now and when we first got her she seemed really sad and terribly thin. She really didn't like to be left alone at all and she was overjoyous whenever we came home. But now she is starting to get used to us and whenever we go out she is getting better. We had to use short breaks to teach her that we would always come back. Now she loves to play, more and more each day she got into it. Now she plays fetch and tug of war with a rope and a squeaky football attached to a rope. She it so very energetic, she absolutely loves to be chased around the yard and she will always vie for our attention. If I stop petting her she will run over to Veronica and then back to me when she is done. It's rather humorous. Anyway, that is our new dog. This book was fantastic. I highly recommend it to anyone especially dog lovers. It is gripping and it is intense, so much so it makes you want to read more and to top it all off, its short. Only about 80 pages. I read it in about 2 days and I did not try to hard. 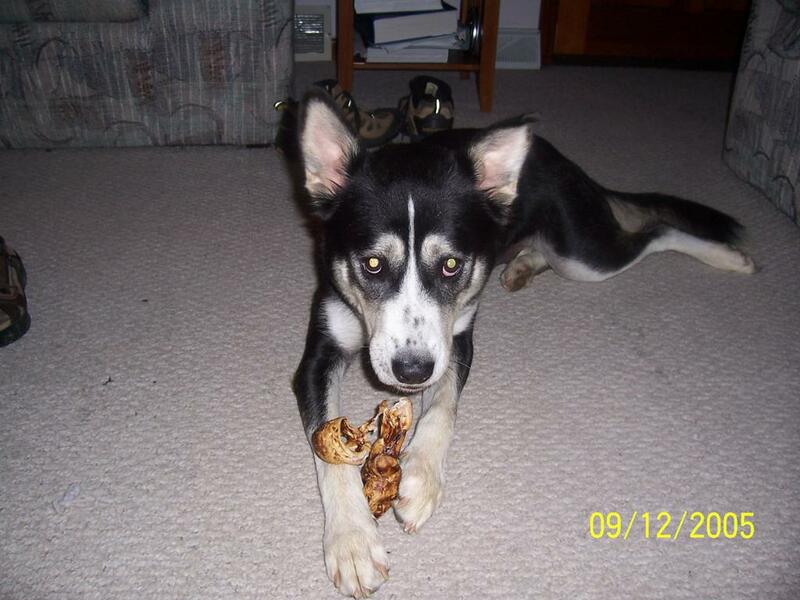 It is about a dog, Buck, who was kidnapped from California I believe and taken to Alaska to be a sled dog. The book is entirely through the dogs perspective but it doesn't do any of the cheesy "dog voices". Not once do you hear what they are saying but you more than get the feel of it, especially among his interactions with other dogs and humans. Again I highly recommend, you won't be disappointed. This is a compilation of the trilogy including the Inferno, Purgatory, and Paradise. The first I read in Humanities in college and I greatly enjoyed. It helps having someone point out the little things going on in the story too. The second two I recently read by myself. Now the Inferno that I read was a school book which was translated in a way to help people understand what was going on. The other two that I read were translated in a way to mimic old English, which I have a hard enough time by myself, so several of the subtleties escaped me. My recommendation is that you have the opportunity to read, go for it by choose a translation that is easier to understand because the book by itself is hard enough to read. But I did enjoy it especially when he meets famous people that I have heard about. I read these last year but I can still make comments and even though they are two separate books people always lump them together so I will do the same. The Iliad reminded me of the Bible. It was pretty much a long list of names with most of the people dying between the list of names. Let me give you an example. It goes pretty much but stating. "Now Jeremiah dies by the hands of Joseph, son of Matthew, son of Jacob, son of Ismeal... And so on" Now that line doesn't actually appear but you get my point. And in that regards it is difficult to read at first but after a while it takes some getting used to. Now the kicker is that everyone wants to read about the death of Achilles. This doesn't take place in these books. The Iliad only chronicles the beginning of the Trojan War, not Achilles' death. So that was kind of disappointing. The Odyssey takes place at the end of the war after Achilles death, so again there is a large gap in the middle chronicled by other stories I did not read, nor know the name of. The Odyssey though was much more interesting because things actually happened and he went to places and met people that most people know of. So its kind of like reading a story everyone knows but for the first time. I enjoyed it immensely. I believe the Iliad is included in the book lists just because it accompanies the Odyssey which alone is such a great books, but I'm not sure. Anyway that is my review, take it as you will this is how I feel.